Simply amazing, is all I can say. San Rafael, California-based Westamerica Bancorporation (WABC) reported earnings that didn't exactly knock the cover off the ball this morning. Earnings per share of 80cents came in a penny ahead of expectations, and the stock is trading up 1% at $58.75, an all-time high. 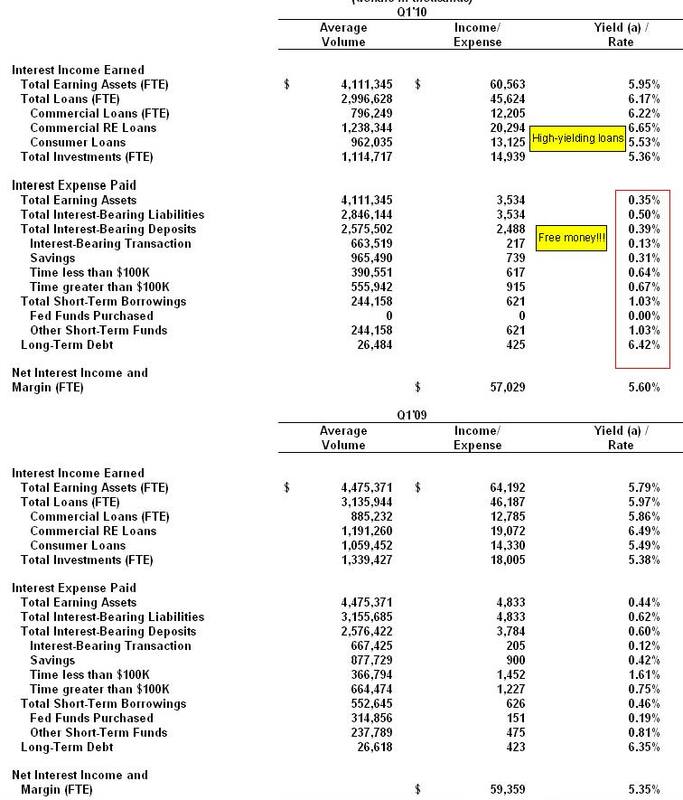 What struck me as amazing was the bank's Net Interest Margin (the difference between what it pays for money and what it gets in yield on its loans.) of 5.6%, even higher than the 5.35% a year ago. 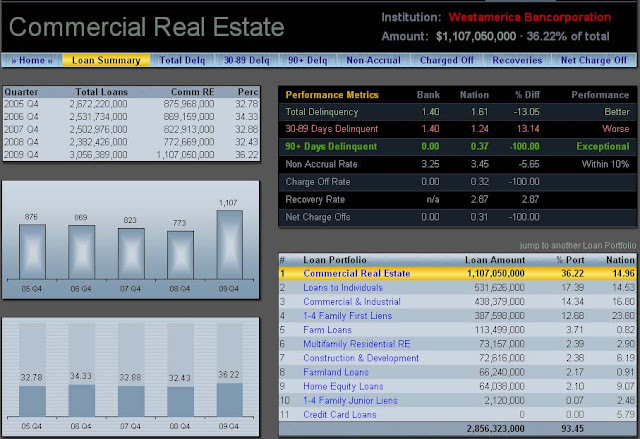 The bank is losing money on some of the deposit interest it is paying, but the money they're making on the net interest margin is so huge that it's a good customer-service move in the long-run. 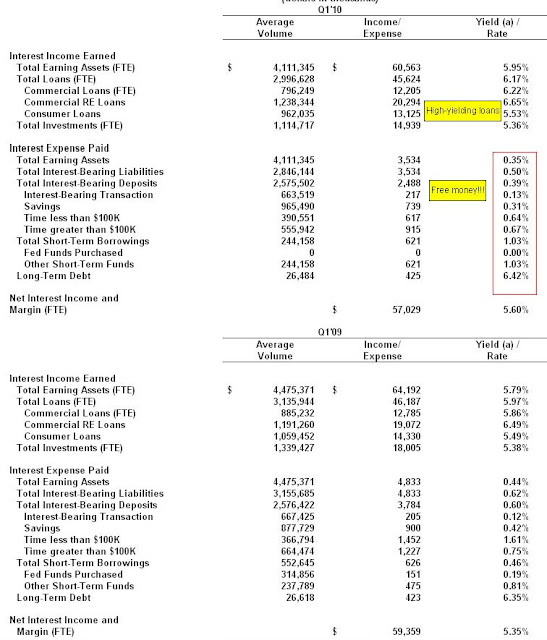 That interest margin is enormous, placing WABC among the top ten publicly traded banks in that metric. Joining them there is Bank of Marin(BMRC), located just a few miles away from Westamerica.